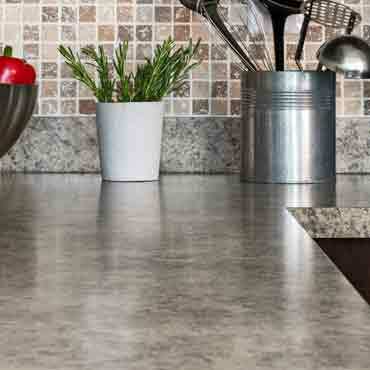 Laminate counter tops are made of plastic-coated synthetics with a smooth surface that's easy to clean. The pieces are cut to size and finished on the ends. Laminate counter tops are available in lots of colors from such brands as Formica, Nevamar, and Wilsonart. 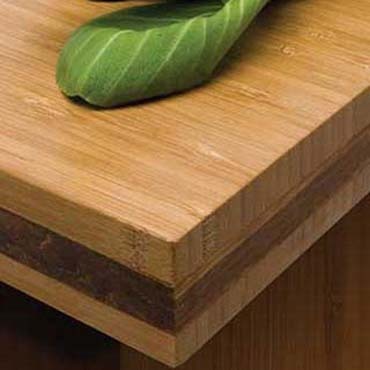 Laminate is easy to maintain; resilient and inexpensive but it scratches and chips and is almost impracticable to repair; it shows seams and front edge choices can be high-priced.